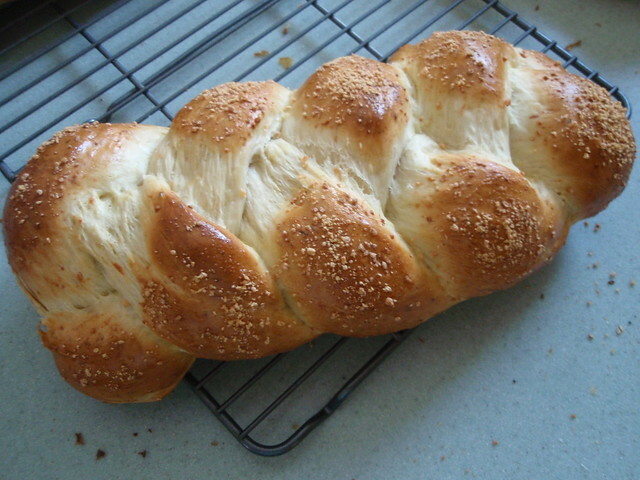 I'd like to present to you, Parmesan Roasted Garlic Challah. 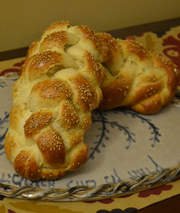 This recipe is enough for 1 medium size challah or two quite small challot. Preheat the oven to 375. Roast the garlic (it does not need to be peeled) turned in olive oil for 30 minutes or so. Remove from oven, let cool, remove peels, and mash or blend. (I did this on Thursday night). Place very warm (but not hot) water in mixing bowl. Add yeast and honey, mixing with wooden spoon. Allow to sit for 10 minutes or so. Meanwhile, mix the roasted garlic with the egg. Mix the flour, salt, and 2 tbsp of the parmesan cheese in large bowl and set aside. Add egg/garlic mixture and vegetable oil and mix with wood spoon. 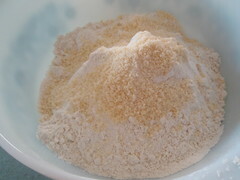 Add the flour mixture in two parts, adding extra water if dough is sticky. 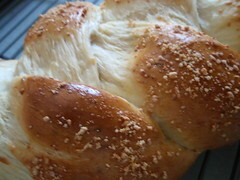 Knead manually or with a stand mixture using the dough hook. Note: this dough is somewhat knobby from the parmesan cheese, but it bakes out. Allow to rise several hours, until dough has doubled in size. Punch down the ball in the bowl and remove. Punch out all air bubbles. Braid in your preferred method. Allow to rise an additional 45-60 minutes. Top with an egg wash and sprinkle with mixture of 2 tsp parmesan cheese and 1/4 tsp garlic powder. Bake at 350 for around 40 minutes. You can use a bread thermometer (180-200 degrees) or poke at the seams. I foiled the top of this loaf to prevent it from browning too much. Enjoy!